The German state of Schleswig-Holstein has announced plans to completely electrify its railway network, with hydrogen fuel cells being the tool that will accomplish this endeavor. The state expects to have a hydrail system in place by 2025, making the railway system more environmentally friendly and, potentially, efficient. 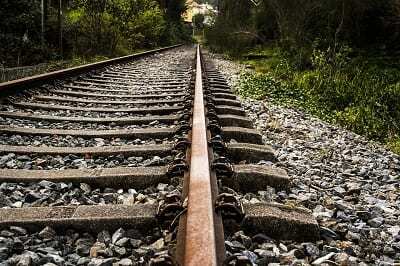 The concept of hydrail has long been an interest in many parts of the world. Relatively few countries have opted to use fuel cells to renovate their railways systems, however. “Hydrail” is a term spawned by Stan Thompson, former strategic planner of AT&T. The term was first used in 2003 and refers to the use of fuel cell technology within an established railway system. Since 2003, hydrail has been gaining popularity. The first hybrid railcar equipped with a hydrogen fuel system was tested in Japan in 2006, with another passenger train completing its pilot trip in the United Kingdom in 2012. Most recently, China debuted a fully hydrogen-powered tram last year, sparking further interest in the concept of hydrail. Now, German official believe the time is right to take hydrail to new heights. The plan from Schleswig-Holstein is quite ambitious. The state plans to electrify its entire 1,100 kilometer railway system, focusing exclusively on hydrogen fuel cell technology. Moreover, the hydrogen needed to power its new hydrail system will be sourced from renewable energy. The state expects that wind power will play a major role in hydrogen production. This will ensure that the hydrail system is as environmentally friendly as it can be, as hydrogen production will not rely on fossil-fuels. Germany is home to a rapidly growing hydrogen market. The country has been showing strong and aggressive support for fuel cell technology, especially in the transportation space. Germany’s hydrogen infrastructure is growing quickly as well. This may ease the adoption of the hydrail system, making it possible for more states to follow the example being set by Schleswig-Holstein. There is some very early movement toward replicating Schleswig-Holstein’s zero-carbon model in Ontario, Canada (hydro and nuclear); British Columbia, Canada (hydro); and California (excess solar).